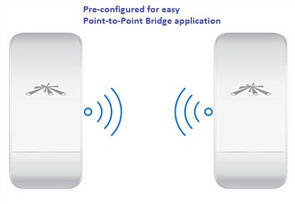 Point-to-Point Outdoor Wireless Bridge, pre-configured to create a plug-and-play outdoor Ethernet extension. 2 x 5GHz NanoStation AC Loco 25dBm bridge with integrated 13dBi antennas and bundled PoE injectors. 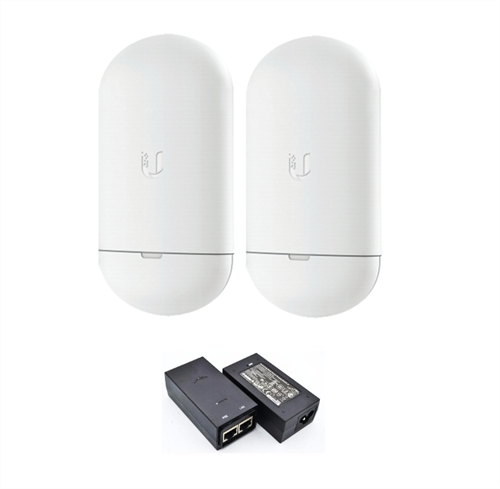 Designed for deployment in a variety of environments in which point to point-to-point wireless bridge communication is needed, the NanoStation AC loco 5 GHz airMAX ac Radio from Ubiquiti Networks offers enhanced connectivity options. 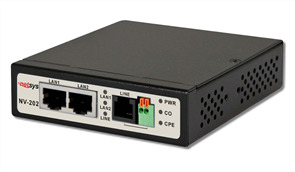 This radio comes equipped with a Gigabit Ethernet networking interface and supports 10/20/30/40/50/60/80 MHz channel bandwidths. Installation is simple, thanks to the included pole-mount kit, while the outdoor UV stabilized plastic enclosure allows the airMAX ac radio to be installed in nearly any environment.